Mukti organised a training programme on organic farming through Sustainable Agricultural Movement (SAM) Project on 6th March 2019, at Purbosridharpur. 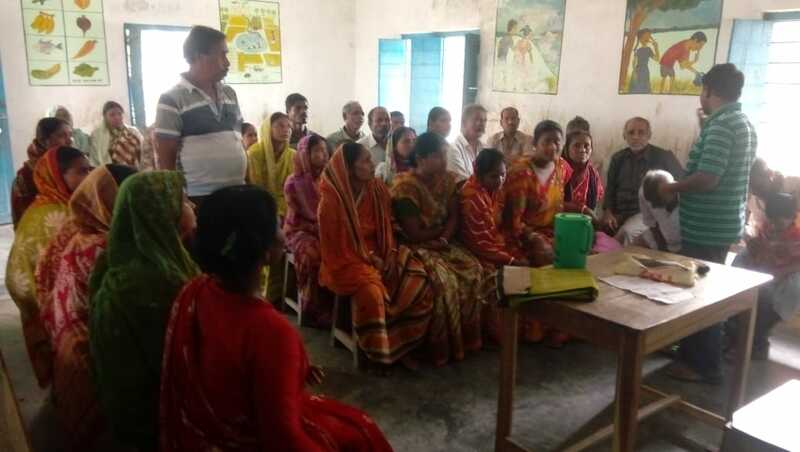 The aim of this training was to raise awareness among the farmers of Sunderbans about the ill effects of chemical fertilisers and pesticides and about the merits of natural farming. The farmers were taught different methods of natural farming for vegetables like bitter gourd, pumpkin, ridge gourd, cucumber etc. Forty-two farmers attended the training. All of them were very attentive and eager to know more about the topic. They were also given leaflets where the details of the techniques of organic farming were defined. This made it easy for the farmers to work on organic farming in future. Mukti also promised to visit their fields for further help and support.